Sydney Harbour, New South Wales, Australia. Alan Millar (Alan.Millar@rbgsyd.nsw.gov.au). © Alan Millar (Alan.Millar@rbgsyd.nsw.gov.au). 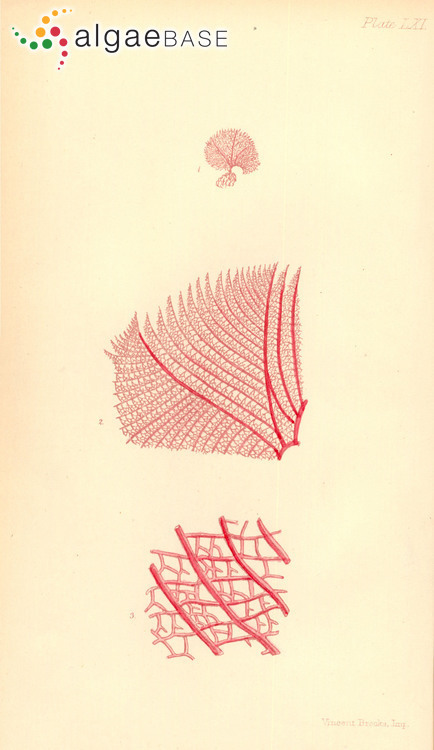 Published in: Papenfuss, G.F. (1956). On the nomenclature of some Delesseriaceae. Taxon 5: 158-162. The type species (holotype) of the genus Vanvoorstia is Vanvoorstia spectabilis Harvey. Type locality: Paramatta river, near east end of Spectacle Island, Port Jackson [Sydney, New South Wales, Australia] (Harvey 1859: pl. 61). Type: W.H.H. & W. Sheridan Wall; 1855; (Harvey 1859: pl. 61). 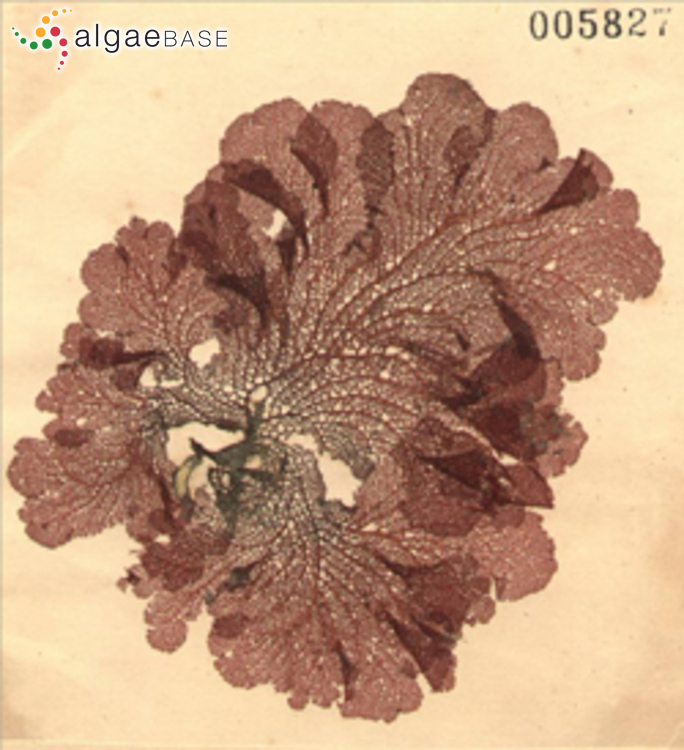 Alan Millar (message on algae-l, 7 March 2001) wrote: [This alga] was first discovered in 1855 by W.H.Harvey from the shallows of Spectacle Island, Sydney Harbour. It was recollected (lots of specimens now filed in NSW) in 1886 by Dr Ramsay, the then director of the Australian Museum, after a request from Baron Ferdinand von Muller (then Director of the Botanic Gardens in Melbourne) who wished to study it further. In 1916, Arthur Lucas failed to find it in the harbour and many extensive searches using SCUBA by myself have failed to find it over the last 13 years. On Christmas eve, 2000, the alga was listed as a "species presumed extinct" by an Act of the NSW Parliament on the schedules of the Fisheries Management Act 1994 of NSW. It has since been nominated for listing on the Australian National schedules. At this stage, the IUCN cannot recognise the alga as extinct as there is no Specialist Group (SG) for marine algae that they have sanctioned. In short, if we are to ever have an alga listed on the IUCN Red lists, then we need to set up a SG. I am more than willing to co-ordinate such an international group and continue my liason with the IUCN to achieve this goal. This story is a paper I submitted to the proceedings of the XVII ISS in Cape Town, South Africa. Anon. (2007). Species presumed extinct in NSW. Bennets seaweed Vanvoorstia bennettiana. NSW DPI Primefacts No. 186: 1-2. Accesses: This record has been accessed by users 2047 times since it was created.